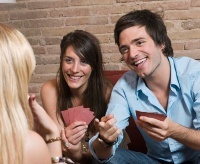 Areas covered: Rules, Winning Tricks, Opening Bid (1-level), Response, Overcalling. 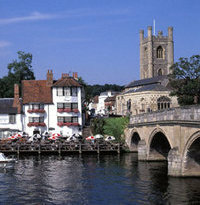 Follows on from Beginning Bridge. We extend your knowledge, introducing further key ideas. 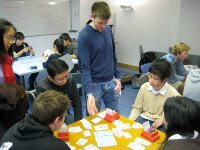 On completion you’ll be a more confident and rounded Bridge player. Areas covered: Strong opening bids, Pre-emptive bids, Doubling (for Penalty), Finessing, Opening Lead. The next step after Continuing Bridge. We tell you about some popular ‘conventions’ in Bridge (Stayman, Blackwood, and Take-Out Doubles) and look at declarer play with trumps and defending. With the first three courses you’ll have covered all the essential ideas and be set to play anywhere! Areas covered: Stayman, Blackwood (and slams), Hand evaluation, Doubling (for Take-Out) and Opening 4441 hands, Trumping for extra tricks, Developing the defence (2nd, 3rd, and 4th hands). If you’re returning to the game or a social player, Refresh and Build 1 is designed specifically for you. 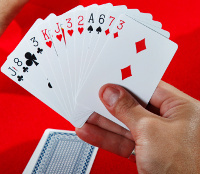 We revise key themes and provide a solid set of foundations to play Bridge anywhere. Areas covered: Bidding balanced hands, Bidding unbalanced hands, Strong hands and slams, Overcalling and contested auctions, Principles of Declarer play and Defence. For intermediate level players looking to progress further. 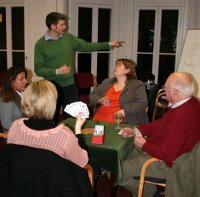 We develop bidding judgement and card playing skills to help you reach the next level. Areas covered: Limits bids (Opener’s Rebid and Responder’s Rebid), Coping with intervention, Delaying drawing trumps, Communication and entries, Defensive signals. Learn about hand evaluation (including the Losing Trick Count), protective bidding (or balancing), and jump shifts by responder. 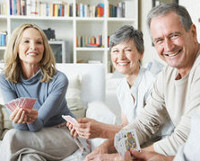 We also focus on improving your card play. Essential concepts for intermediate level players upwards to improve their game. Areas covered: Responder’s jump shift, Losing Trick Count and hand evaluation, Protective bidding, Cross ruffing, Switching the defence. Aimed at more experienced players, we introduce the concept of reversing and explain jump shifts by opener. Our focus on the play includes calculating odds and combining chances as Declarer. Areas covered: Reversing, Opener’s rebid – jump shift, The Law of Total Tricks, Calculating odds and combining chances, Counting tricks on defence. Six of the most important conventions clearly explained: transfers, Weak Twos, fourth suit forcing, Jacoby 2NT, unassuming cue bids, and negative doubles. Ideal for more experienced players and club Bridge. Complements Key Conventions 1 (see above). We cover splinters, trial bids (game and slam), Roman Key-Card Blackwood (RKCB), ace-showing cue-bids, inverted minors, two-suited overcalls, and defence to 1NT.